I happened to stumble across another Conservative Blogspot…. The Barracuda Brigade. This one was so good, that I took the liberty to share it. 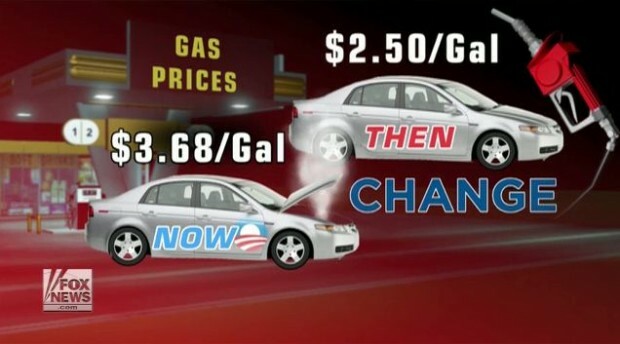 Fox News Video Report on “Obama’s Lies,” Sends Left Into Frenzy. Watch it Here…Awesome !!! Ya know when you’ve hit em where it hurts, by their reaction. Enjoy, Please Share; Well Done Fox !!! All images are from the Fox News video and/or copied from the Barracuda Brigades Blogspot. Thanks again Barracuda! 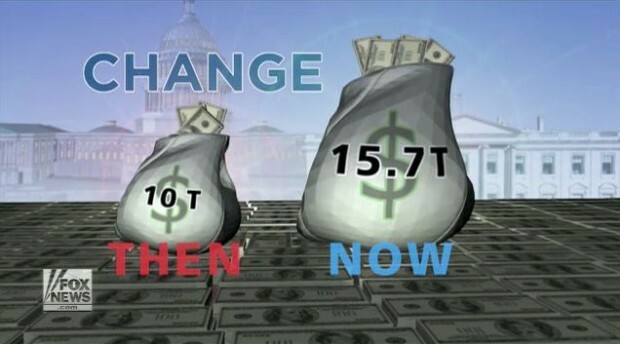 Fox News’ “Fox & Friends” on Wednesday aired a scathing review of the first three years of President Barack Obama’s term in office, countering his “hope” and “change” motto with a series of “then and now” facts about the national debt, jobless rate, gas prices and more. The Debt. Click for a larger image. 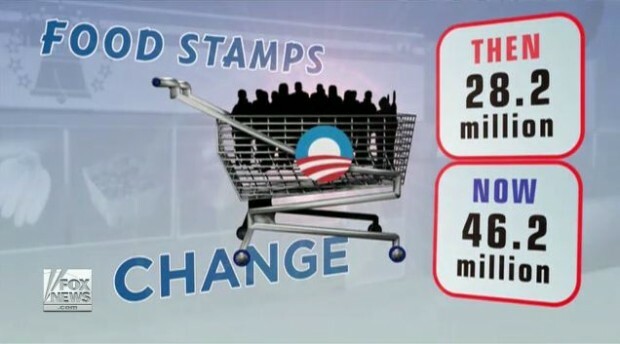 Number of folks on Food Stamps. Click for larger image. “What sort of change have we really seen over the past four years from the Obama administration?” co-host Steve Doocy asked by way of introduction. The four-minute clip is a mash-up of the president’s speeches over the last three-and-a-half years, matching his promises and statements with the reality of rising costs. Starting with the frenzied “O-BA-MA! O-BA-MA!” crowd chants of four years ago, it’s quickly replaced by ominous tones. 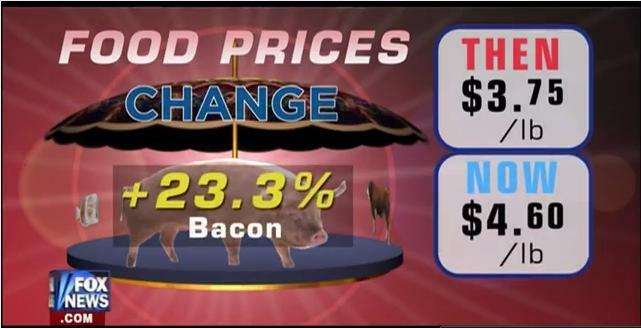 Bacon prices up 23.3%. Click for larger image. “We cannot wait for good jobs and living wages and pensions…Jobs must be our number one focus…We know it’s time to create the good-paying jobs, jobs that pay well and cannot be outsourced,” he says, before the “then and now” jobless rate is highlighted: 7.8 percent then, 8.3 percent now. And if you look at the REAL Unemployment numbers, the U-6….. well, I’ll let the chart speak for itself. U-6 Unemployment Data. Click for larger image. Respectfully submitted by SilenceDogood2010 this Third Day of June in the Year of our Lord, Two Thousand Twelve. Inheritance is the practice of passing on property, titles, debts, rights and obligations upon the death of an individual. 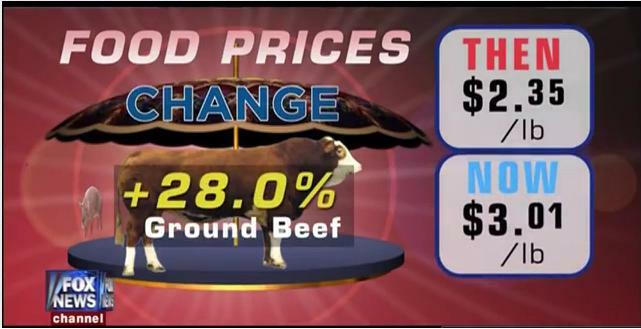 This tells the story of why Bush was so ‘BAD’ at the end of his term. Don’t just skim over this, it’s not very long, read it slowly and let it sink in. If in doubt, check it out!!! From REAL sources, not the Daily KOS / Huffington Post / Obama’s websites or other liberal sources. Remember the day… January 3rd, 2007 was the day that Barney Frank took over the House Financial Services Committee and Chris Dodd took over the Senate Banking Committee. Unemployment — to this CRISIS by (among MANY other things) dumping 5-6 TRILLION Dollars of toxic loans on the economy from YOUR Fannie Mae and Freddie Mac FIASCOES! U6 Unemployment Chart. Click for larger image. 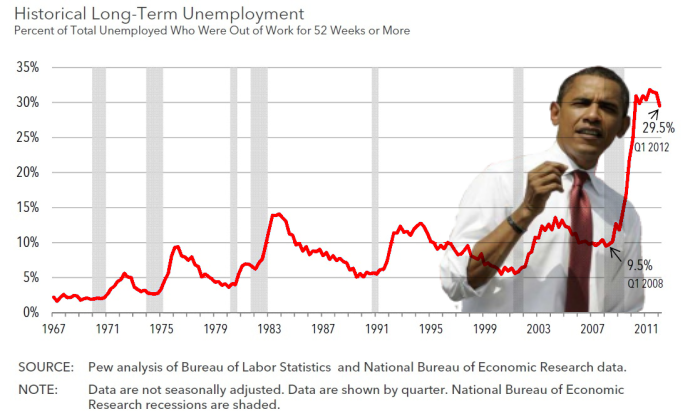 Roughly 30% unemployment for the 1st quarter of 2012! And who took the THIRD highest pay-off from Fannie Mae AND Freddie Mac? That would be Barack Hussein Obama! And where was Barack Hussein Obama during this time? 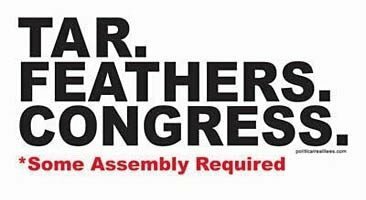 He was a member of that very Congress that passed all of these massive spending bills, and he signed the omnibus bill as President to complete 2009. 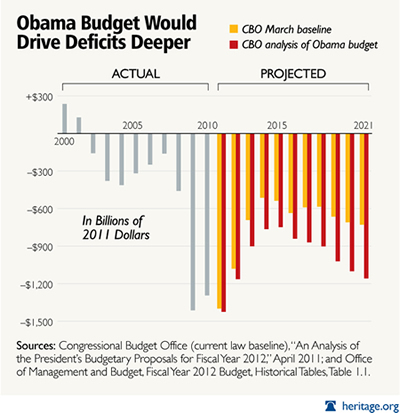 Note the 2007 deficit on the chart. Then note the DRASTIC INCREASES starting in 2008. This belongs solely to the Democrats. Again, click for a larger image. I inherited a deficit that I voted for and then I voted to expand that deficit four-fold since January 20th 2009 when I took the office of the President of the United States. There is no way this will be widely publicized, unless each of us sends it onward. Respectfully submitted by SilenceDogood2010 this Second Day of June in the Year of our Lord, Two Thousand Twelve.